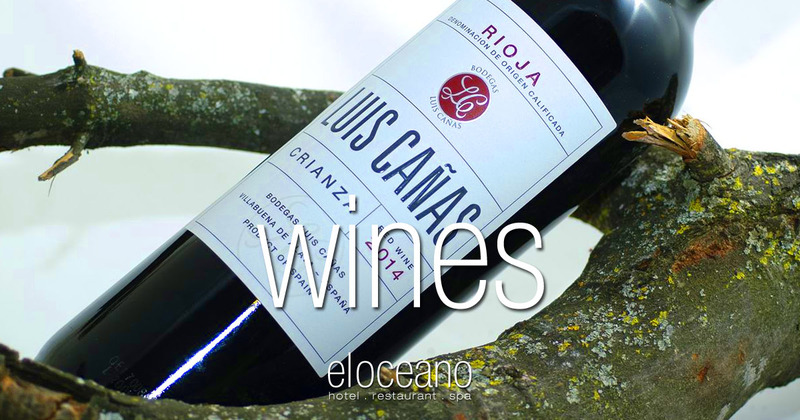 Wine List at El Oceano Hotel and Restaurant. Our selection of only the finest wines is second to none on the Costa del Sol. Allow our expert – and award winning – sommelier, Pino, guide you to the perfect wine for the perfect meal! If you enjoy wine, you’ll enjoy El Oceano! In an effort to bring you some of the finest wines for the value, we continually update our wine selection! We can assure that whatever your personal taste and favourite style, every wine featured will be first rate – the best wine from the best winemakers. If we can help advise on your wine selection, please do not hesitate to ask. We may have a few surprises in our cellar! We pride ourselves in taking the time to ensure that perfect partnerships are made between our delicious dishes and the wines that we offer our guests. If you’re not sure which wine will best complement your meal, speak to Pino, our award-winning sommelier! Browse our selection of white, rose and red wines- and don’t forget the bubblies! Our wine list has been developed with two very important factors in mind – to provide the a wonderful choice of flavours and styles and second, to create the perfect accompaniment to your perfect menu! Over the years we have catalogued hundreds of wimes into our inventory. We are passionate about the correct storage of wine and our preference is to purchase stock immediately upon release and cellar them until they are ready to be enjoyed. El Oceano Restaurant is the best places to eat between Marbella and La Cala de Mijas. Our menu is an exquisite mix of fresh meats and seafoods, lovingly prepared by our chefs. Served by the most professional and friendly servers you’ll find. The restaurant has three rooms, all with magnificent sea views. Two dining rooms are indoors, with the third being the outdoor terrace. What better place to dine al fresco? Find El Oceano right on the waterfront between Marbella and La Cala de Mijas, on Spain’s beautiful Costa del Sol. Getting here is easy, we are just a 30 minutes drive from Málaga Airport.